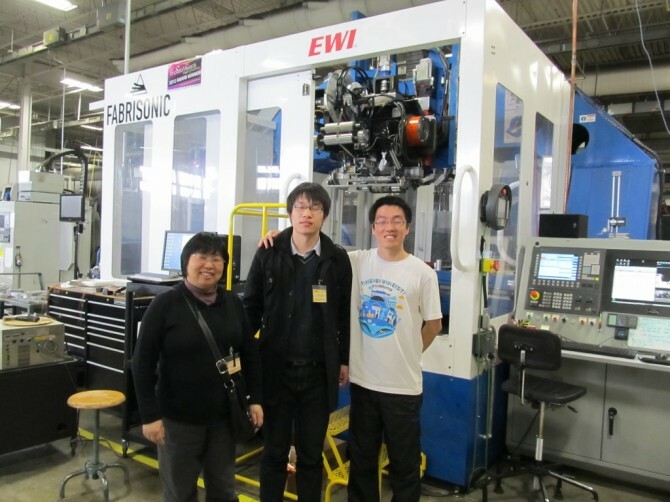 Fabrisonic has been working with students from China’s premiere engineering school, Tsinghua University. The collaboration is aimed at modeling the patented UAM process. An analytical model will allow for faster process optimization and higher quality parts. Last week a group from Tsinghua visited Fabrisonic to run experiments to validate the analytical model. This included welding parts with good parameters and bad parameters while taking copious amounts of data. The students have returned home to analyze the data in order to improve the model. Pictured below are : Professor Lili Zheng, Song Zhang, and Dalong Yi. Fabrisonic looks forward to continued collaboration.